“Late Nite Eats” will visit three of Providence’s restaurants that reign supreme in the late-night food scene. Late night eats at Ogie’s Trailer Park. Photos by Angel Tucker. Executive chef Jordan Andino and the Cooking Channel are on the Rhode to Providence to find the best dishes after dark in the new series, “Late Nite Eats.” Premiering on Thurs. Oct. 26 at 10 p.m. (tonight! ), viewers will see chef Andino find three of Providence’s restaurants that reign supreme in the late-night food scene. He starts off in College Hill at Durk’s Bar-B-Q, Providence’s only Texas-style barbecue joint, where he bites into brisket nachos and lemon chess pie. Andino and the team then head to Federal Hill to try the cutting-edge restaurant, North (now located at the Dean Hotel). Chef Andino orders the beloved bite-sized ham biscuits and chef James Mark’s Asian-inspired dan dan noodles, a crave-worthy late night favorite. They continue to satisfy their late night munchies in Providence at Ogie’s Trailer Park, where classic comfort foods are served in a fun environment. 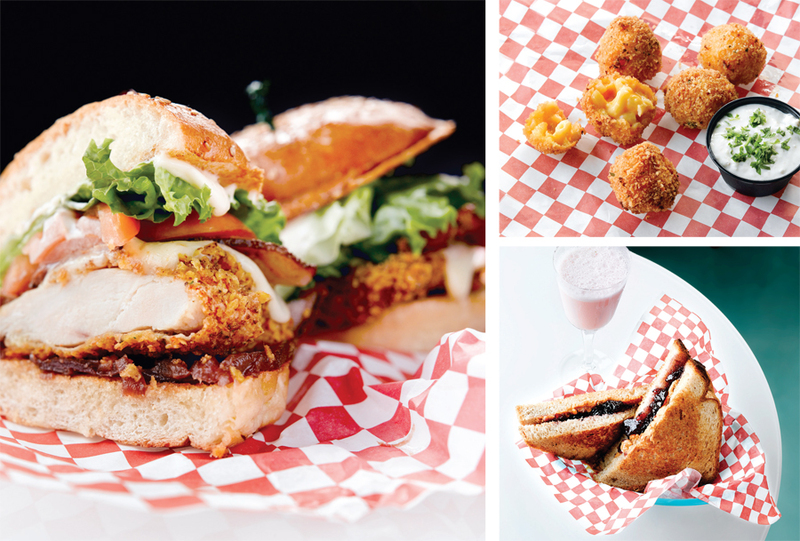 A fried chicken sandwich encrusted with ranch tortilla chips and mac and cheese croquettes make up the meal of choice for Andino. He learns that no late night at Ogie’s is complete without a trip to their outdoor tiki bar, so a classic Mai Tai it is. Throughout the series, Andino worked in the restaurant kitchens, mingled with late night guests and sampled the most popular after-hours dishes from the chosen restaurants. Andino says he was surprised by Providence’s eclectic dining scene. “I have friends from Providence, who now live in New York, and they are old school Italian. I expected Italian joints, which there were, but there were so many other types of places to choose from,” he says. 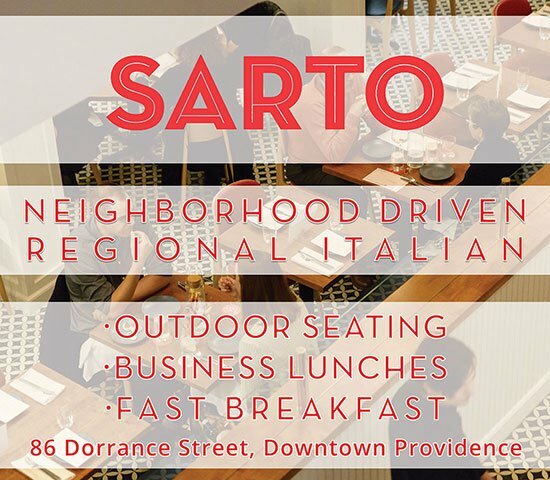 “It was surprisingly underrated.” Although he loved the vibe of Ogie’s Trailer Park, and had some of the most fun working with the crew at Durk’s, chef Andino’s favorite food he tried while in Providence was the dan dan noodles from North. “I didn’t even understand what was going on. They were incredible,” he says. So that’s how little Rhody stacks up: we may be the smallest state, but we have a big appetite. Tune in to the Cooking Channel on Oct. 26 to see chef Andino take on Providence and all the late night food favorites it has to offer. See additional airing times here.